I’m a nail polish junkie. Last I checked, I had over a hundred bottles in my stash, and I am not exaggerating! I have what some would call a small addiction – I have to actively avoid looking at nail polish, or I will surely buy more! So what’s the deal with nail polish? Typically, nail polish is a toxic blend of chemicals – alcohols, solvents, and all kinds of other toxic badness. In particular, nail polish is often formulated with a particularly toxic trio of chemicals: dibutyl phthalate (DBP), formaldehyde, and toluene. What does this toxic trio do, and why are they used? DBP is a known carcinogen, has been known to cause reproductive and thyroid problems, and has been linked to hormone changes. 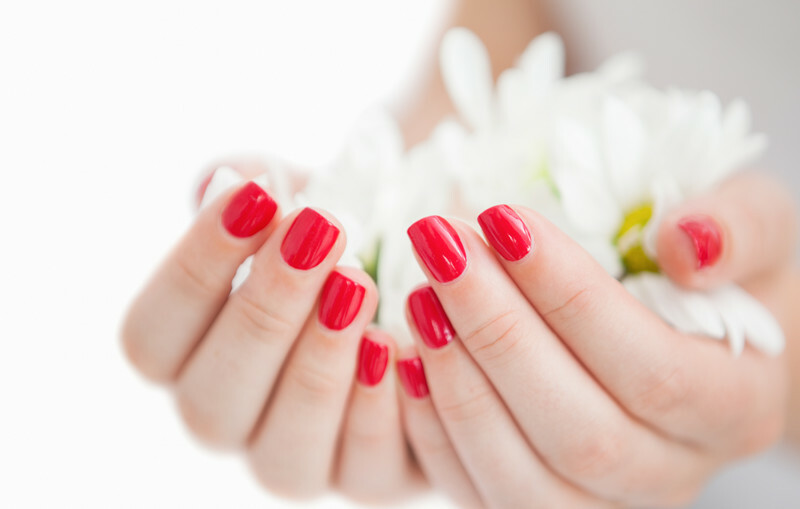 As an ingredient in nail polish, it helps to prevent chipping and cracking. Formaldehyde is another known carcinogen, can allergic reactions if it comes into contact with the skin, and can be inhaled when it evaporates. It’s benefit is as a nail hardener. Toluene is a volatile organic compound, and can cause irritation to the eyes, as well as the lungs when inhaled, and also affects the central nervous system. It is a solvent that makes polish easy to apply. Does this sound like the kind of stuff you want to put on your nails? I didn’t think so. But nail polish goes beyond just our fingertips. Think of all the polish-soaked cotton balls that hit the garbage as you’re switching out your manicure, and the nearly-empty bottles with traces of polish lingering within. All of this inevitably ends up in our landfills, which trickles down into our eco-systems. That’s an awful lot of impact for pretty nails! Here’s the good news: Labels on cosmetic products are required to list ingredients. In addition, many major nail polish manufacturers have jumped on the “3 Free” wagon, and now exclusively create bright, beautiful polishes with less toxic gunk. Finding pretty polishes that are eco-friendly doesn’t have to be hard, as long as you take the time to read the labels. SpaRitual Nail Laquers – SpaRitual is a vegan eco-friendly polish, free of toluene, fomaldehyde, formaldehyde resin, DBP, parabens, sulfates, synthetic fragrances, petrochemicals, phthalates, GMOs, triclosan . SpaRitual also does not test on animals or use animal by-products in any formulations. Zoya Nail Polish – Zoya is free of toluene, formaldehyde, DBP (phthalates) and camphor, and has been awarded as the longest wearing natural nail polish by an independent panel in Women’s Health Magazine. There are hundreds of stunning colours to choose from in Zoya’s line of polishes. Butter London – Butter London is another favourite, formulated without formaldehyde, toluene, DPB, or parabens. They were also the first company to sell non-toxic nail lacquer in the United States. Thank you for this! I love red toenails but have no idea where to get the good stuff. Do you know if I can pick up any of these in stores? Emily, SpaRitual is available at Sephora, Butter London is at The Bay, and all three can be purchased through http://www.nailpolishcanada.com/ 🙂 I can personally attest to awesome service from Nail Polish Canada – fast shipping, and easy to spend enough to get it shipped for free, too!